Excellent job Danny, some great questions everyone, I'm off now to bake a cake! This may be the most important and insightful interview of the 21st century.....ARE YOU LISTENING BBC? 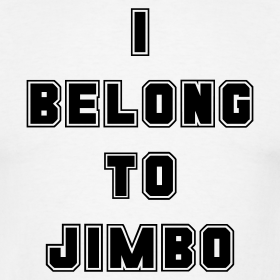 Watch your back Lineker, the people have spoken, our god is Jimbo. Brilliant as ever Danny, well done. Cheers chaps and thanks to you for chipping in with a question. Having James Richardson on the pages of EFW is better than swimming with dolphins and no mistake. Great interview Danny, why isn't Jimbo on the tv more? I mean obviously he dosen't have the wit of a Colin Murray or Alan Shearer, but what can you do? I see in the featured picture that there's a waxworks model of him in Madame Tussauds. Nice one. Recognition at last. This may be the most important and insightful interview of the 21st century. Quality reading Danny. Jimbo needs to do a "reverse Glendenning" and replace the legendary Bill O'Herlihy when he finally packs it in on RTE's (Irish National Broadcaster) panel. The exchanges with Dunphy would be priceless! 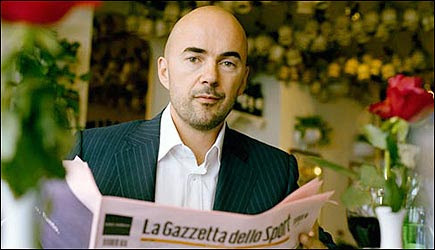 At least Bravo had the sense to get him back for the season they showed Italian football. Was just a shame not many people watched it. Channel 5's mistake was NOT having him and having some dum Italian bimbo who clearly did not know that much about football helping to present the show. James Richardson’s main collections are Reservations (1977), Second Guesses (1984), As If (1992), How Things Are (2000), the “cult favorite” Vectors: Aphorisms and Ten-Second Essays (2001), and Interglacial: New and Selected Poems and Aphorisms (2004), which was a finalist for the National Book Critics Circle Award. He is also the author of two critical studies, Thomas Hardy: The Poetry of Necessity (1977) and Vanishing Lives: Tennyson, Rossetti, Swinburne and Yeats (1988). By the Numbers: Poems and Aphorisms will be published in the Fall of 2010. Honestly, the only really thing I can do after reading this blog is ask for a standing ovation. Excellent, excellent read, sir.